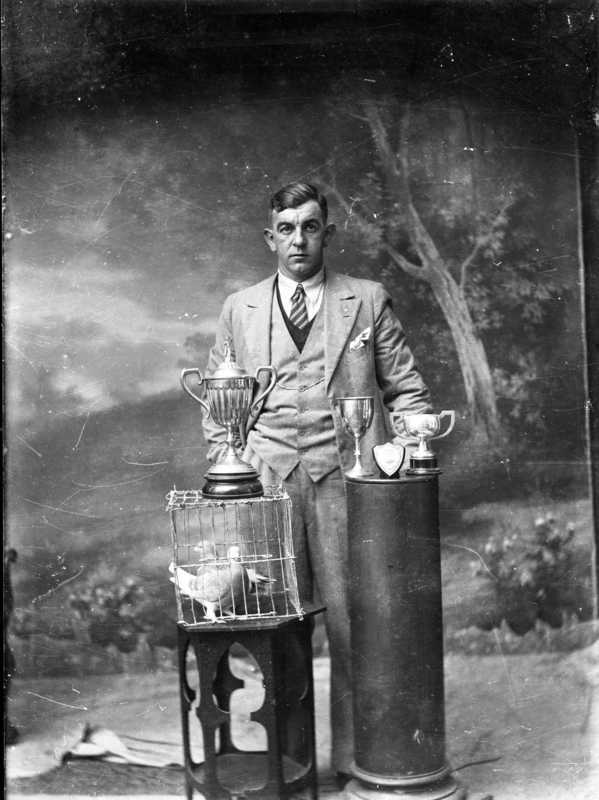 A portrait 'Swanny' Swanson and his champion birds, proudly showing off his trophies. When he wasn't raising prize birds, swanny was a hard man around Wick. One anecdote tells of an occasion when four men decided to get him drunk, lock him in a coal shed, and teach him a lesson. By all accounts when the shed door opened, Swanny was the only man to walk out.